The 2012 Summer Olympics will be in London. There, for two weeks, star athletes from around the world show off their athletic prowess in sports ranging from swimming to judo. 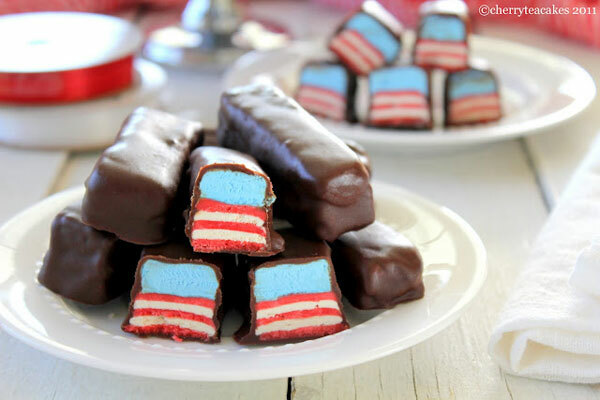 To cheer on the USA, we scoured food blogs for patriotic treats that are worthy of a gold medal. Click on the images or the link in the description to see the recipe. Go Team USA! 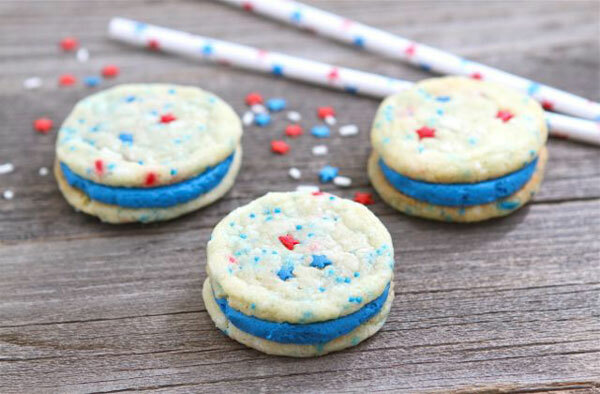 Celebrate the London Games in style with these “Red, White & Blue Funfetti Sandwich Cookies” from Maria and Josh of Two Peas and Their Pod. Guests will be cheering for the USA and your baking skills. 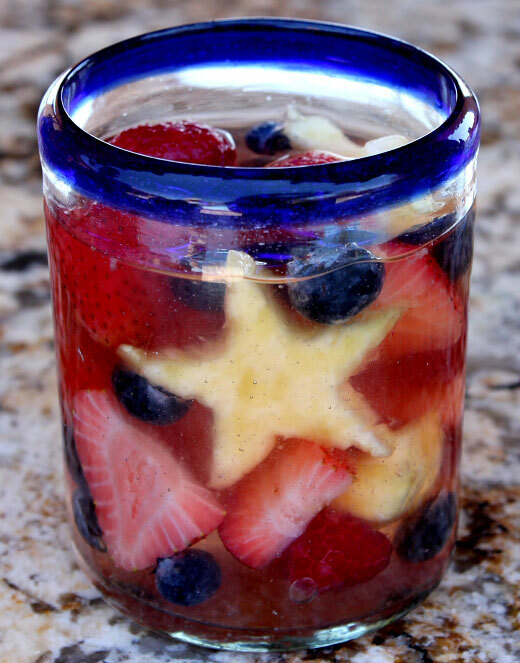 Give a proper toast to your favorite athletes with this patriotic spin on sangria. Lori Lange from Recipe Girl provides a tasty recipe for “Red, White and Blue Sangria” that embodies the flavors of summer with a USA theme. This is no ordinary panini. 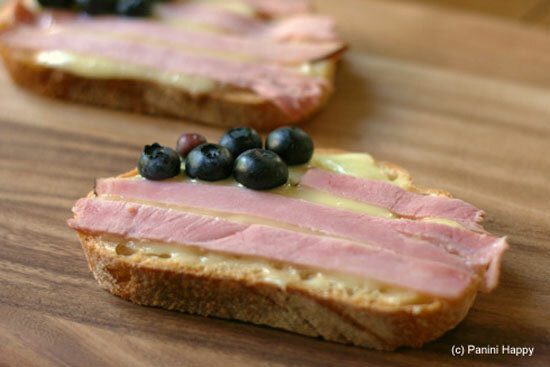 Kathy Strahs of Panini Happy creates an American flag on a bed of buttery brie goodness with strips of ham and blueberries. The Olympics can be a stressful time, as we watch one athlete beat out another by a tenth of a second. 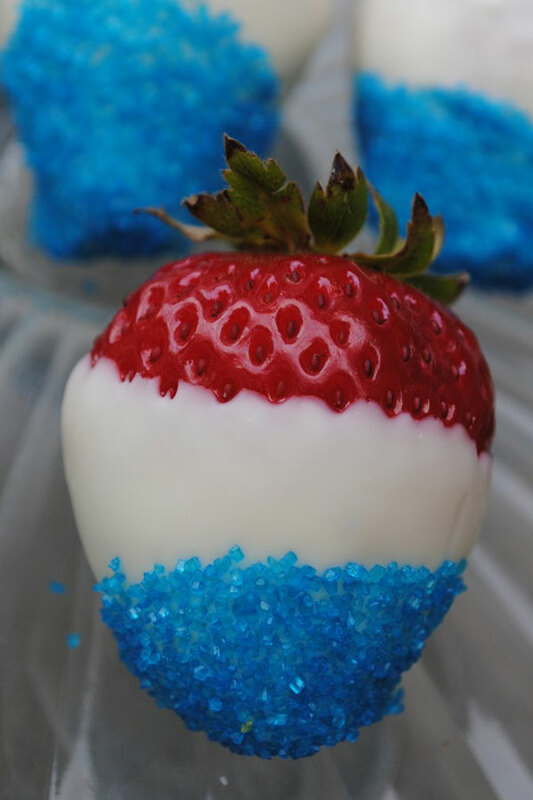 The Sisters Café provides this quick and easy recipe for patriotic strawberries that is stress free. It’s less time in the kitchen and more time watching the games. With every Olympics there is at least one surprise ending to an event. So why not surprise guests at home with “Red, White and Raspberry Candy Bars” by Jana Erwin from Cherry Tea Cakes? Guests will never guess what is inside these ordinary looking candy bars. There is no need to feel guilty watching athletes compete while you sit back and eat. 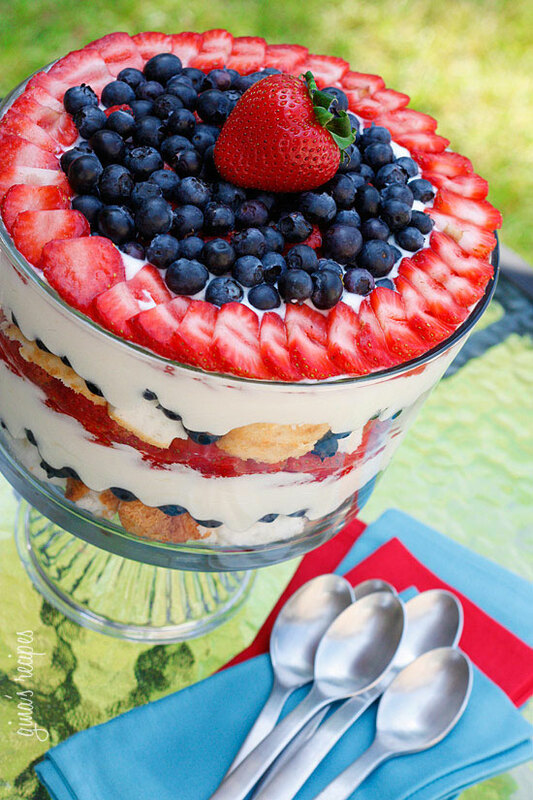 Gina from SkinnyTaste.com provides a healthy, low-fat “Red, White and Blue Trifle” that will keep you focused on the games rather than the calorie count. To celebrate the Olympics’ host city, bake these British inspired treats.